Joseph Gordon-Levitt and Marion Cotillard's roles in Dark Knight Rises have been announced, but they aren't anywhere near as exciting as rumors made them out to be. Two big rumors regarding the cast of Christopher Nolan's Dark Knight Rises have just been shot in the foot. Warner Bros. Pictures has officially announced the roles that Inception's Joseph Gordon-Levitt and Marion Cotillard will play in the film, but they're brand new characters created for Rises and not known villains or heroes from the Batman comic books. Gordon-Levitt was rumored to be taking on the role of Alberto Falcone, a mob boss's son from Batman: The Long Halloween that takes out other mob targets as the "Holiday Killer." He'll actually be playing John Blake, described as a "Gotham City beat cop assigned to special duty under the command of Commissioner Gordon." Rumors were flying around Marion Cotillard saying she might play Talia al Ghul, the daughter of international terrorist R'as al Ghul and a significant character from the Batman comic books. Ra's al Ghul was a key figure in Nolan's Batman Begins, with Josh Pence confirmed to be playing young Ra's al Ghul in Rises, further fueling speculation for Cotillard's role. However, she'll actually play Miranda Tate, a "Wayne Enterprises board member eager to help a still-grieving Bruce Wayne resume his father's philanthropic endeavors for Gotham." Okay, then. Of course, these names actually mean nothing for the significances of Cotillard and Gordon-Levitt's parts in the film, as they could have alter-egos that become more than they initially appear. R'as al Ghul was very secretive about his true identity, so Cotillard could still play Talia al Ghul as some sort of sleeper, right? I'm thinking that eventually we'll just have to come to terms with the fact that Nolan is going to ruin all of our fun until Dark Knight Rises actually comes out. 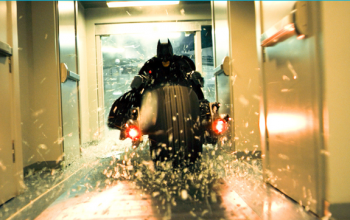 Dark Knight Rises is scheduled to hit theaters on July 20, 2012.